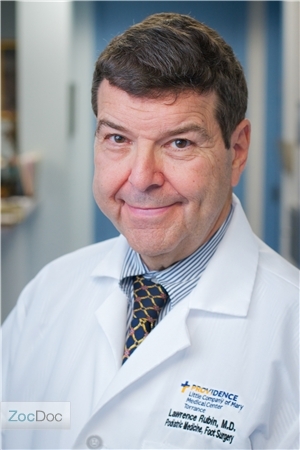 Dr.Lawrence Rubin has practiced podiatric medicine and surgery in the South Bay community for more than 30 years. He is board certified in foot and ankle surgery. He treats all aspects of foot and ankle disorders including pediatric, diabetic related and trauma induced derformities. He specializes in the surgical repair of painful foot ailments such has bunions, hammertoes, and ingrown toenails. Additionally, he is exceedingly successful as the "go to" podiatrist in addressing limb salvage and treating problematic and non healing wounds. Dr.Rubin always performs a thorough evaluation and explains his findings in detail and in understandable terms. Each patient's treatment plan is individulized and all patient concerns are reviewed prior to treatment implementation. Upon implementation of most surgical procedures, patients are fully ambulatory with minimal convalescence and disruption to their daily schedule. Dr.Rubin is Board Certified in Foot and Ankle Surgery, a Fellow of both the Amerian College of Foot and Ankle Surgeons and the American College of Foot and Ankle Orthopedics and Medicine. Additionally, he is a member of the American Academy of Podiatric Sports Medicine and the American College of Podiatric Medical Review. Dr.Rubin received his undergraduate education at American Unicersity, Washington, D.C. He earned his doctorate degree in podiatric medicine at the New York College of Podiatric Medicine. He completed his surgical residency program at Kensington Hospital in Philadelphia. Dr.Rubin also enjoys traveling, model train railroading, ice hockey, and football. Very satisfied with doctor and office staff. Dr Rubin was great and has a nice sense of humor and has a way to put the patient at ease. Very nice doctor. Funny too! Great doctor, would definitely go to him again. Dr. Lawrence Rubin, DPM has no appointments on Zocdoc right now.